The best indoor ventilation system is one you do not notice. You will not need to pay attention to it at all. The system reacts automatically to changes in indoor and outdoor conditions, without you having to spare it a thought. The indoor conditions are constantly maintained at a comfortable, appropriate level. 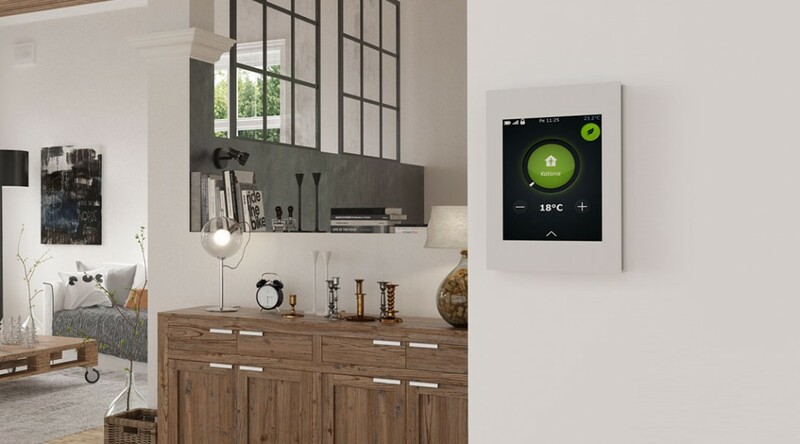 Enervent has developed a range of different control systems. Choose the one that best meets the needs of your family. The smart Enervent eAir system meets the needs of the most demanding indoor climate controller and is extremely easy to use. Ventilation is controlled through a visually clear touch screen through pre-set scenarios like Home and Away. The Home and Away functions are the ones you will need most often. Other functions are the Eco and Silent scenarios which reduce energy consumption and decrease operating noise. The system displays either daily or weekly measurement data. The trend graphs are also easy to export into Excel. The controller is equipped with a versatile timing function for programming the scenarios according to your schedule. The device can be timed at weekly and annual levels. You can also control your home’s ventilation remotely through the internet. The free eAir web interface is included in the delivery. Try the eAir Web interface! Enervent has introduced a new, easy-to-use, and moderately priced control for its ventilation units. The control is controlled and adjusted via the stylish and intuitive eWind control panel. The new eWind control is available for all Enervent ventilation units, apart from the biggest Pallas machines. eWind is an extremely versatile solution which can control and adjust the indoor climate in a number of ways. Humidity boosting is a built-in feature. The control also controls heating and cooling solutions of the Enervent ventilation systems, such as fluid-based heating and cooling coils for a ground circuit. The Enervent eWind control can also be connected to open building automation. The system can be equipped with KNX and Modbus RTU bus control as an option.